Former Barcelona academy player Alejandro Grimaldo has accused Barcelona of abandoning their youth policy and to focus on signing established stars rather. He said that this is a mistake by the Spanish giant and that this could cause them regret in the future. 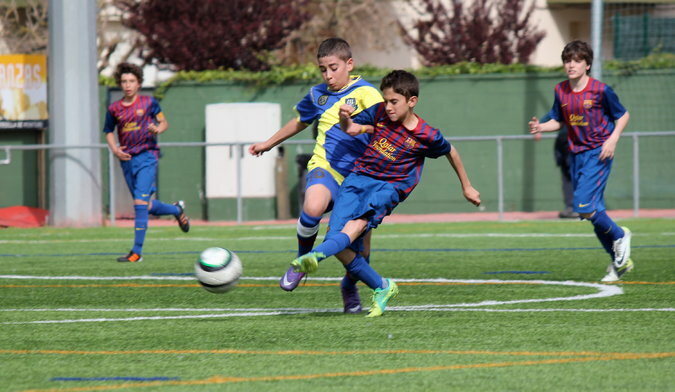 Indeed players such as Lionel Messi, Cesc Fabregas, and Mikel Arteta all started their career in the Barcelona youth ranks and then went on to successful careers around the world. Alejandro Grimaldo believes that the Barcelona staff now ignores these players and that they are not given any chance in the team. Grimaldo was a product of the Barcelona academy and failed to make a breakthrough in the first team. He then left the team and went to Benfica where he managed to establish himself as a regular player. He managed to win the Portuguese league as well as the domestic cup. It is reported that the player is now ready to move on to bigger things with clubs such as Manchester City as well as Chelsea interested in him. However, it appears that the player regrets that he could not stay at Barcelona. He said that there are many players that are in his situation and that they were given hope that they could play for the Barcelona first team in the future. He believes that the young players that have left the academy had the potential to play for the Barcelona first team, but unfortunately, they were not given their chance. He believes that there is a change in the way that the team is managed and that young players are not being given their chance to represent the club. He said that he is focused at the moment on the national team and that he will be thinking about his future when is free.